At Berthon we recognize that it’s good to arrive for the weekend knowing that you will find your yacht cleaned and gleaming so that you can enjoy using, rather than tidying her. Also, that after a cruise or weekend aboard, you may prefer to leave us to pump the bilges, wash the bright work or even do the washing up! 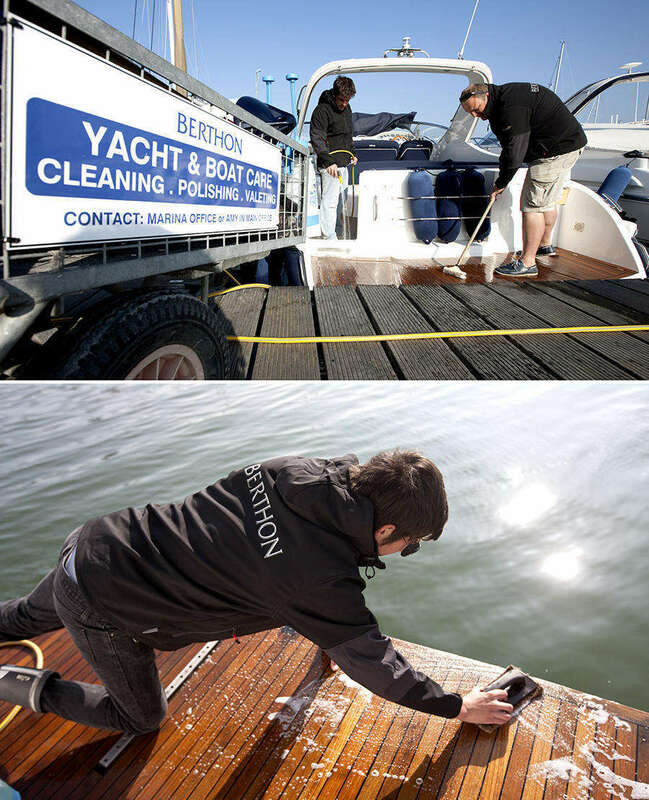 The Boat Care Department at Berthon offers a comprehensive range of yacht cleaning options, whether you are a berth holder requiring a regular cleaning service or a visitor wanting a one-off exterior wash-off, polish or interior yacht valet. Below is an indication of our standard yacht valeting prices. If you would like to find out more or to arrange a tailored boat valeting package to suit your individual needs, please contact Matthew Hart who will gladly arrange a suitable time to meet or call to discuss your requirements. Arrive for the weekend to find your yacht gleaming, ready to enjoy using rather than cleaning her. We'll pump the bilges, wash the brightwork & even do the washing up!